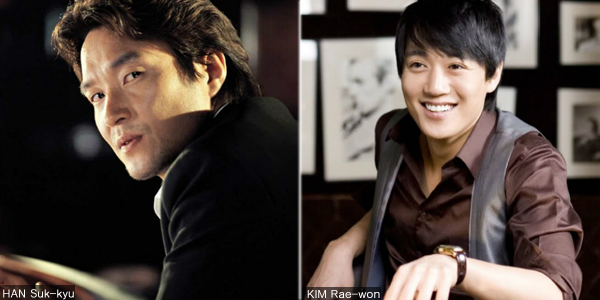 HAN Suk-kyu will return to screens this year along with KIM Rae-won in the crime film The Prison. The thriller marks the directing debut of NA Hyun, a veteran scriptwriter in the Korean film industry. KIM plays a detective who goes undercover to prison to discover the secret behind his brother’s death. While there, he approaches an inmate (HAN Suk-kyu) who lords over the prison. One of the biggest stars of the late 90s, with credits that include Green Fish (1997), Christmas in August (1998) and Swiri (1999), HAN most recently appeared in period drama The Royal Tailor (2014). KIM, who got his start at the turn of the millennium and is known for ...ing (2003) and Sunflower (2006), featured in the gangland pic Gangnam Blues last year and recently finished shooting the upcoming thriller RV: Resurrected Victims directed by KWAK Kyung-taek. Appearing alongside them will be star JUNG Woong-in, recently seen as the injured father in Veteran last summer, as well as SHIN Sung-rok (Bloody Innocent, 2010) and CHOI Sung-won (THE ACCIDENTAL DETECTIVE, 2015). Getting his start as a writer on Mokpo, Gangster’s Paradise (2004), NA has amassed numerous screenwriting credits, including for Gwangju massacre blockbuster May 18 (2007) and the YIM Soon-rye films Forever The Moment (2008) and South Bound (2013). Filming for The Prison is set to get underway this month while a release is expected later this year.